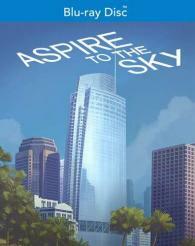 The Wilshire Grand Story is a documentary about the tallest building on the west coast at 1100 ft with a 180 ft spire. Soaring buildings in Los Angeles are difficult to find because of the risk factors associated with a highly seismically active zone, fire potential, and liquefaction soils covering much of the city. This one acre lot now supports 22 acres of office and hotel space that changed the Los Angeles skyline.